Priority Two - Programs that include sprinkler awareness that affect the entire community in this effort, such as educating the public about residential sprinklers, promoting residential sprinklers, and demonstrating working models of residential sprinklers. Installation of sprinkler systems is only eligible if proposed as part of a sprinkler demonstration/educational effort. Priority is given to projects that focus on first time or reinstatement of code adoption and code enforcement. Priority will be given to projects that aim aggressively to investigate every fire. Priority is given to projects that focus on residential fire issues and/or firefighter safety and wellness by dissemination and implementation of programs, polices, or products from previous studies that used rigorous scientific methods to determine effectiveness. Firefighter safety and wellness projects should aim to measurably change firefighter behavior and decision-making. Previously funded projects can be found at https://www.fema.gov/fire-prevention-safety-grants-awards. Fire Prevention and Safety (FP&S) Activity- Fire departments; and national, regional, state, local, tribal and non-profit organizations that are recognized for their experience and expertise in fire prevention and safety programs and activities. Both Private and public non-profit organizations are eligible to apply for funding this activity. For-profit organizations, federal agencies, and individuals are not eligible for funding in this category. Firefighter Safety Research and Development (R&D) Activity - National, state, local, Native American Tribal, and non-profit organizations, such as academic (i.e. universities), public health, occupational health, and injury prevention institutions. Both private and public non-public organizations are eligible to apply for funding in this activity. Applications were to be submitted by December 7, 2018. A similar deadline is anticipated annually. Up to $34,500,000 is available in total funding for an anticipated 150 awards. Individual awards may not exceed $1,500,000. Projects under FP&S may last up to 12 months. Projects under R&D may last 12, 24, or 36 months. The projected project start date for all activities should be August 1, 2018. 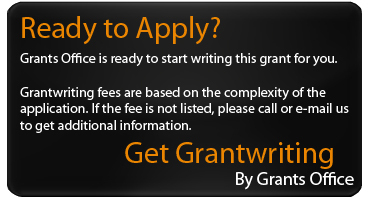 Cost sharing/matching of at least 5% of the grant award is required.